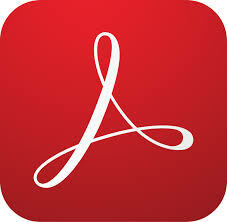 Reconstruct Word, Excel and PowerPoint documents from PDF files. This SDK provides the power to create applications with the ability to make, modify and convert PDF files. After reviewing the available options, we chose to use Solid Framework technology for the conversion of PDF files to Microsoft®Word and Excel in Adobe® Acrobat® X. The document reconstruction quality is very good and the Solid Documents team has been a pleasure to work with on this project. With Professional 8, we’re uniting best-of-breed OCR functionality from Solid Documents, with the industry’s leading comparison technology from Workshare, in a single desktop package. We now offer more value to the legal community by supporting an increased range of document formats. Customers now benefit from having the most accurate input and processing methods available to them thanks to Solid Documents. Don JacobVP of Engineering at Bluebeam Software, Inc. The technology from Solid Documents offered unmatched Word output quality combined with easy integration with our server-based framework. The business and technical contacts were a pleasure to work with and provided knowledgeable and prompt support for all of our questions.